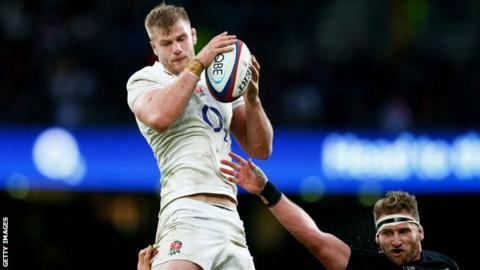 Saracens lock George Kruis has received a three-week ban for a dangerous tackle but he will be available in time for England's Six Nations opener. Kruis pleaded guilty after being cited for a tip tackle on wing David Halaifonua in Friday's 24-23 defeat at Gloucester. The 24-year-old will miss Saracens' European Rugby Champions Cup matches against Munster and Clermont Auvergne. He is free to play again on 3 February. England play Wales three days later. Kruis made his England debut in the autumn, winning four caps as a replacement against New Zealand, South Africa, Samoa and Australia.